I’ve been a very busy little Mommy today and I feel so accomplished in the kitchen department! I knew that today we would be making peanut butter and jelly sandwiches for the 4 Weeks to Fill Your Freezer series, so after I finished washing the breakfast dishes, I put the ingredients in my bread machine to make Honey Wheat Bread for the project. One of the many reasons that I love the bread machine is that I can set the timer to start the dough at a certain time…in this case, making the bread ready after we came home from the gym. Since it was all nice and warm from baking, I decided to make sandwiches for lunch too…Tommy had PB&J, and I had egg salad. Yum! 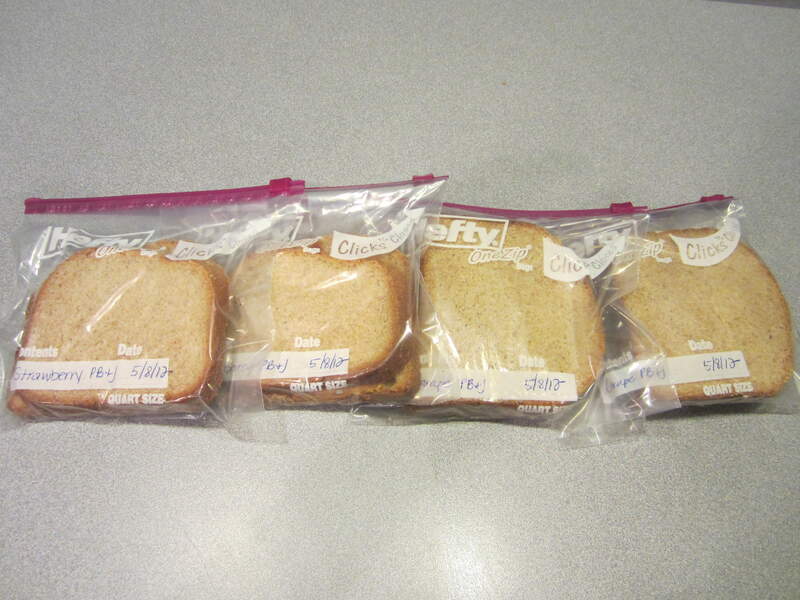 With the remaining slices, I was able to make 4 large sandwiches for the freezer. Our bread machine turns out pretty big slices, so my kids will only eat about half a sandwich. This will feed them both 4 times. After the sandwiches were made, I decided to use up the other half-can of pumpkin leftover from the Chocolate Chip Pumpkin bread I made last week. 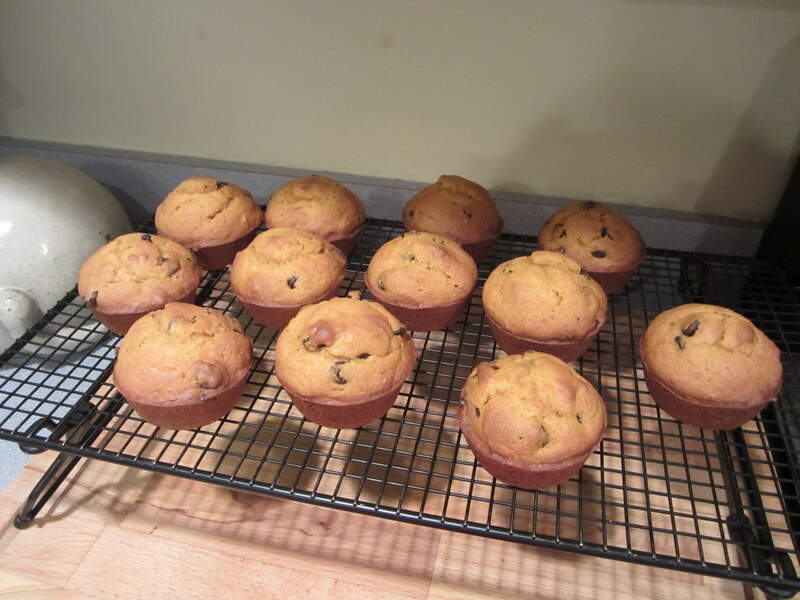 Our whole family loves Money Saving Mom’s Pumpkin Chocolate Chip muffin recipe, so I whipped those up in no time. Now we have them for breakfast and snacks for the rest of the week. 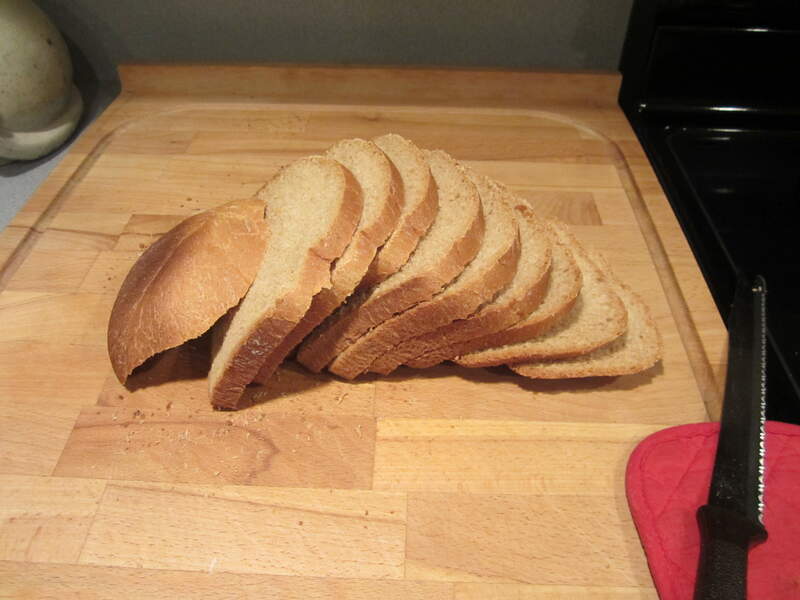 I also put in another batch of bread in the machine, since I used up the first loaf on the sandwiches. I’m so glad that Crystal suggested that we freeze some PB&J sandwiches. 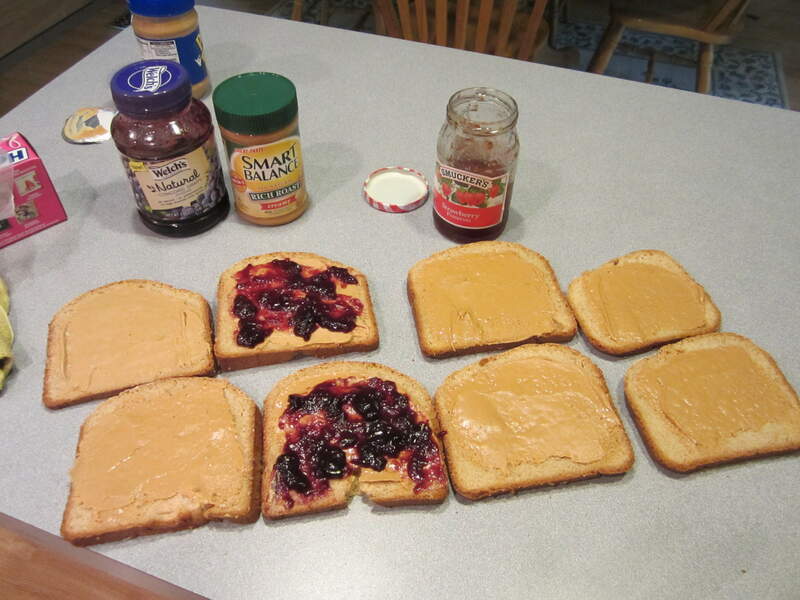 I never thought to do it before…after all, what could be faster to make than a PB&J? But today it occurred to me that it will be mighty handy to just grab some already made sandwiches out of the freezer to take with us to the pool this summer or on a long car trip. Such a great idea! Yum! Everything looks delicious. Your honey wheat bread looks so good. Did it actually bake in your bread machine? I got a bread machine for Christmas, but I’ve yet to open it or use it…..I’m planning on it, though. Yes, it bakes right in the machine. 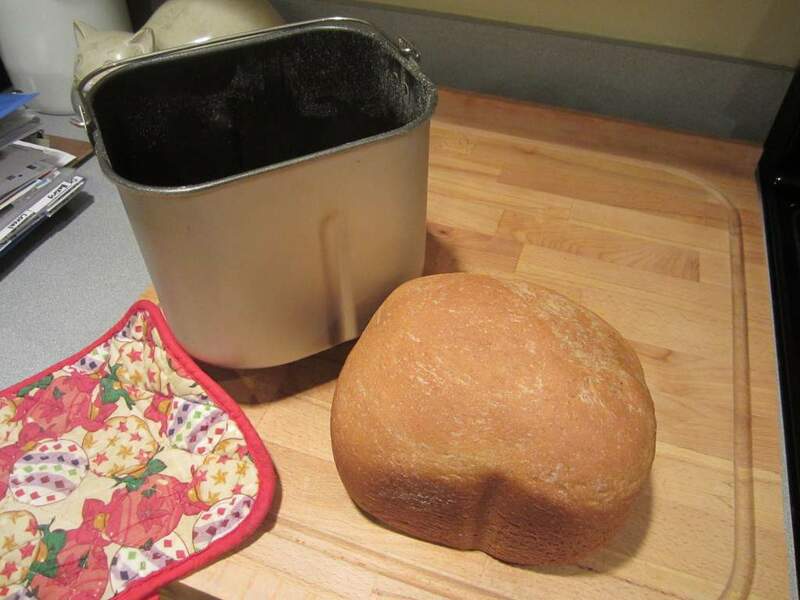 It makes baking your own bread so easy! Just pour in the ingredients and push a button. This was the first time I had made frozen peanut butter and jelly sandwiches. My kids eat them often for snacks so this will save us time. The pumpkin muffins look really good. I may make these soon. Your bread look delicious, I may have to make a loaf soon.